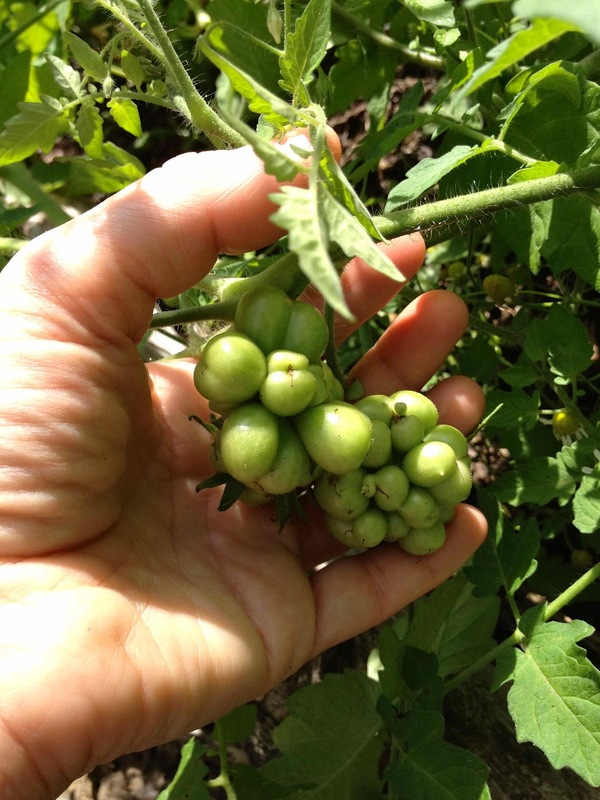 Niki Jabbour - The Year Round Veggie Gardener: The Trombetta are coming!! 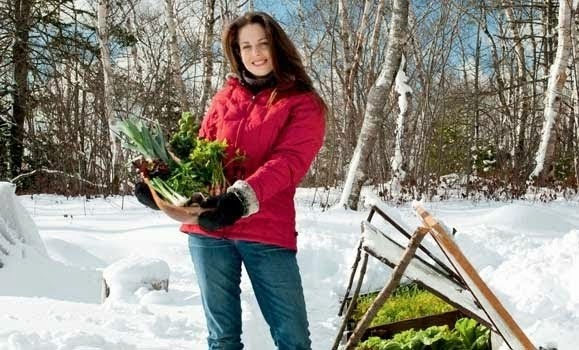 Just went up to the garden to pick some lunch. 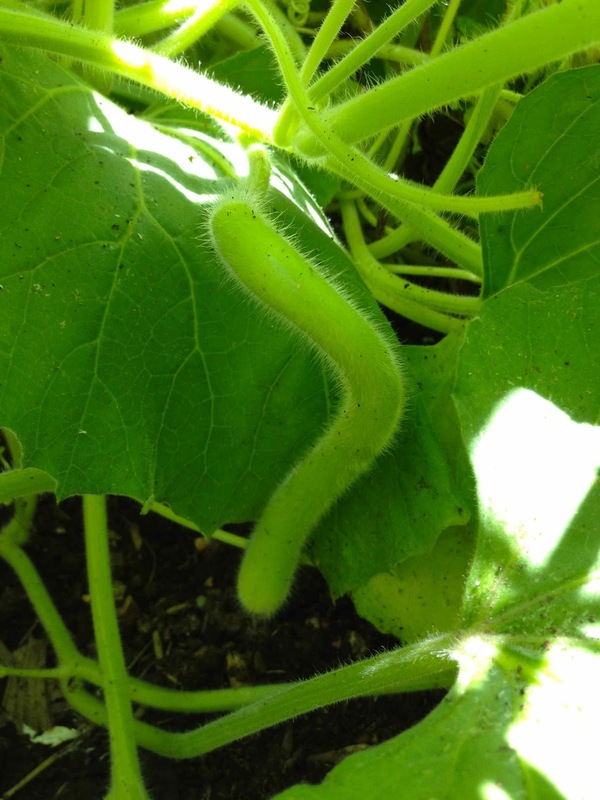 Cucumbers, salad greens, a handful of basil and a few carrots.. but, as I was rifling through the rampant gourd and cucumber vines looking for a cucumber, I noticed a HUGE bell-shaped squash blossom.. Upon closer inspection, I saw the fruit attached to the flower and it's a Trombetta summer squash! I planted them last year, but it was such a poor year that the seeds kept rotting and I never managed to harvest any of these gorgeous trumpet-shaped fruits that are said to taste like artichokes.. yum!! Although you can't see it in the photo, there is another one coming too with a bloom set to open in the next day or so. Gorgeous!! 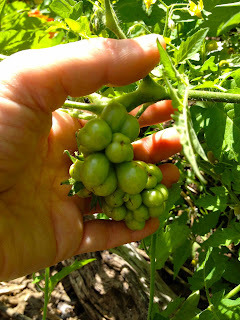 Another curiosity - I also was checking the tomatoes (secretly hoping for ripe fruits) and realized that one of my vines was heavily laden with rather odd fruits.. 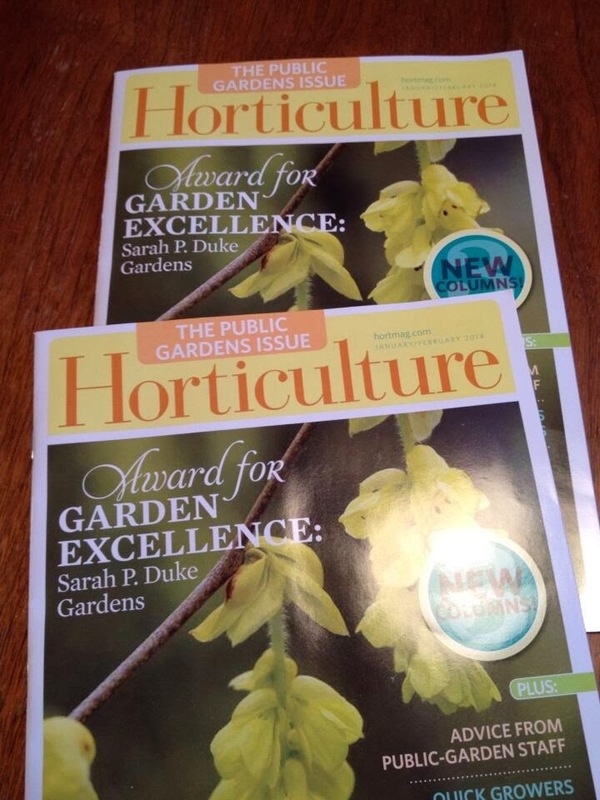 I've never seen them before, but recognized them from this seed catalogue. Hmm.. how did they get there?? I don't have a packet of this seed. I also don't remember anyone giving me this variety. 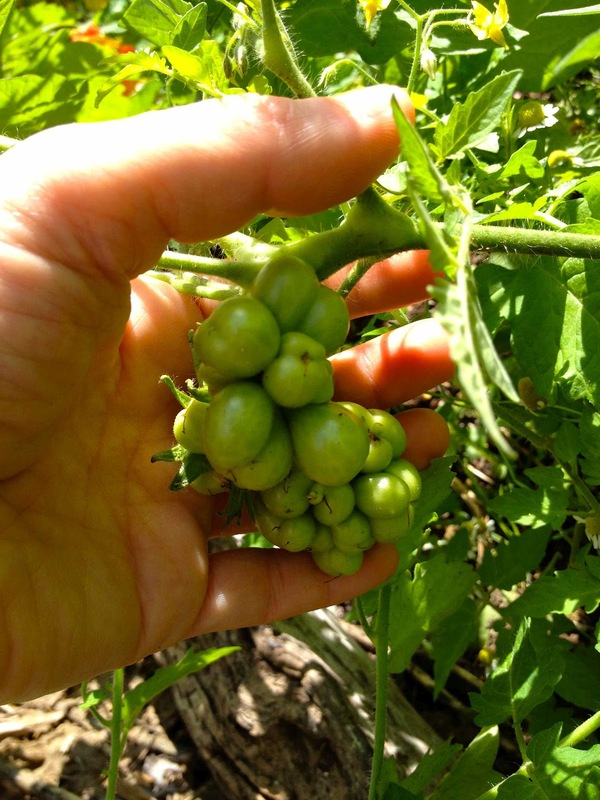 It's an heirloom often called the 'Traveling Tomato' because it can be harvested one segment at a time.. plus, the thick skin helps protect the fruits. I know our local seed company, Annapolis Seeds also offers it in their extensive tomato selection, but again, I didn't buy this variety this year.. So, the mystery continues!! I also poked around the gourd patch a bit more to see what baby gourds are coming.. there are cannonball gourds, birdhouse gourds, long dipper gourds, speckled swan, and about 6 or 7 others.. it's so fun to see the tiny gourds with their flowers still attached mature to such fantastic and unique fruits!! 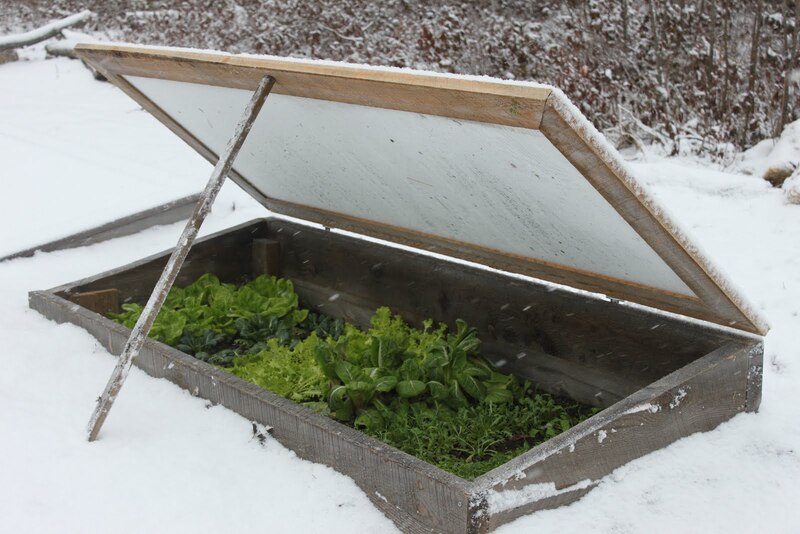 Don't forget to see your carrot cold frames or carrot beds to be mulched for late fall/winter harvesting!! Tis the season in zones 5/6..
Reistetomate - where did you come from? they make a yummy squash. 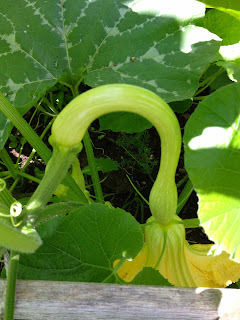 Birdhouse gourds baby coming along.. Magnificent site. Lots of useful information here. I am sending it to a few pals ans also sharing in delicious. And of course, thanks in your sweat! What awesome, mysterious plants you have growing! I love them! Thanks so much guys for your comments!! I'm loving the trombetta.. can't wait to see how much they've grown since yesterday! :) Can I really wait another 7 to 10 days to harvest the 2-foot long fruits?? I am envious. 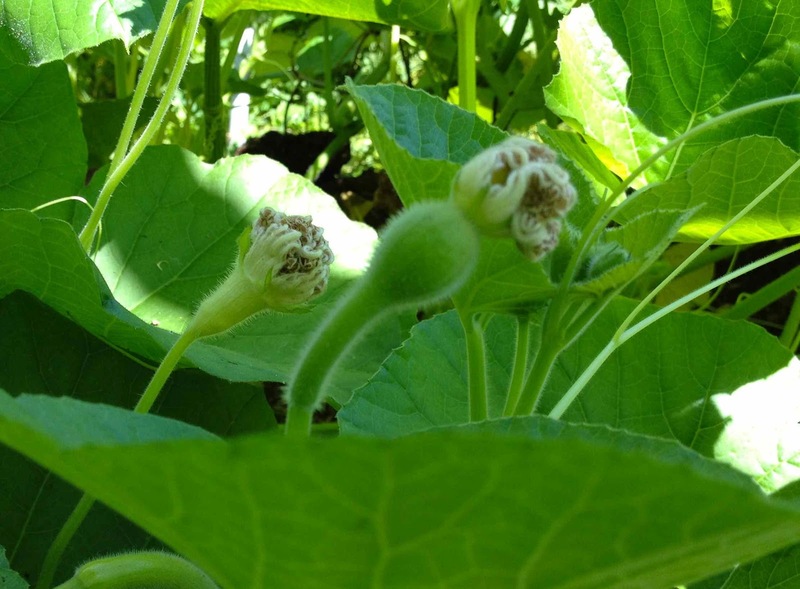 My cucumbers are not doing well and the deer ate my zucchinni blooms. Cool tomato...I bet your kids would like that one! I once had a tomato like that form on one of my tomato plants (don't remember which variety, a slicer, maybe Brandywine?) from a megabloom. I too am a little envious. My cucumbers are pretty unhappy this year as well. 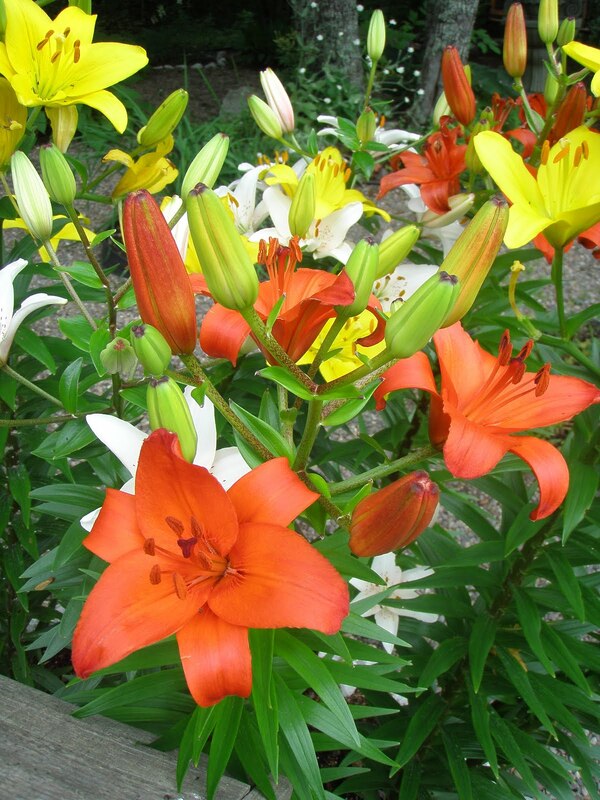 Your garden looks great!